Despite the wealth of restaurants Morgantown has to offer, there are a few voids in the culinary scene. A deli would be nice. Maybe a delicious pho place. But the lack of good, homemade bagels is about to be solved. 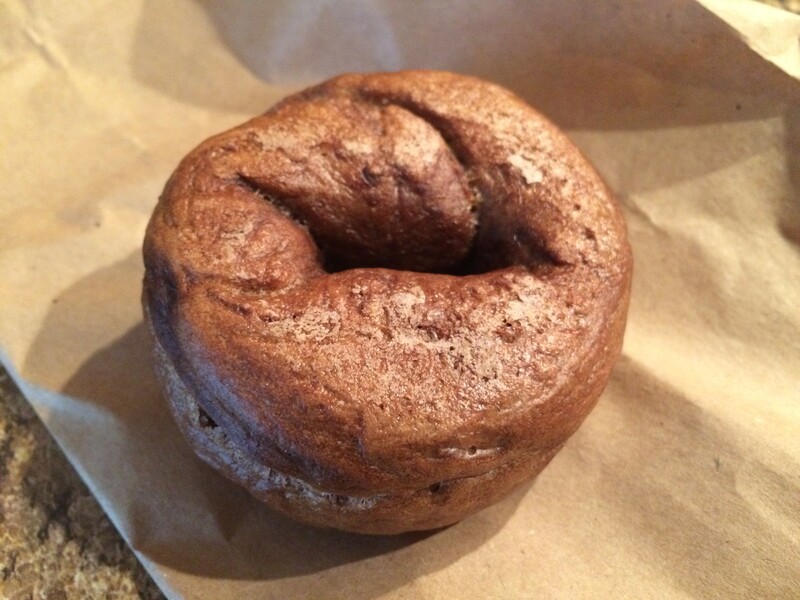 The West Virginia 00Bagel Company is a home-based operation currently without a storefront, but it can be found at the Bridgeport Farmers Market beginning May 17 and will be at the Health Sciences farmers market, as well. 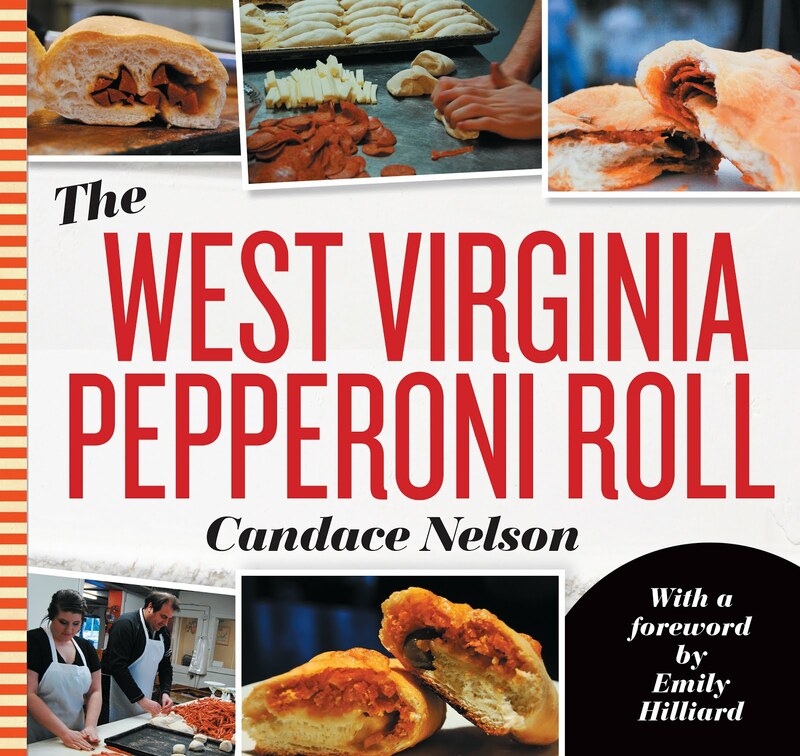 Also, they take Facebook orders and have scheduled pick-ups once a week in Morgantown. 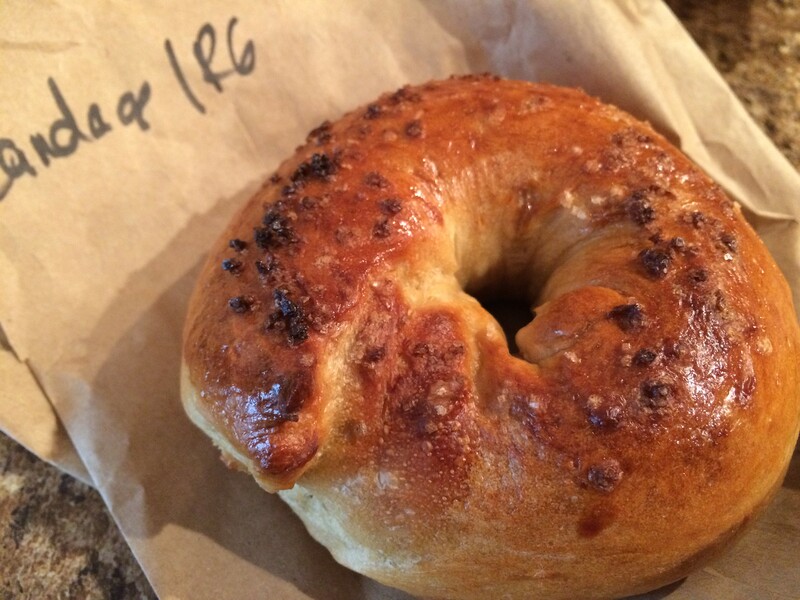 Their Facebook said you pronounce the name as "Double Oh Bagel," and those are zeros - which refer to the flour used. And they boil their bagels, hand crank and hand roll them using a "unique" process they are proud of, according to the Facebook. I saw a recent post saying to submit orders, and pick them up the next day. So, I was in. They have classic, everything, onion, roasted garlic, sriracha and and chocolate chocolate chip. They're $2 individually or 6 for $10. I put in an order for a garlic, onion and everything. Very simple - Facebook message what you want, and then they'll let you know what time and where they'll be for that week's pickup. I imagine this would get more difficult as they get more popular. But I went and got cash (anticipating no Square would be available) and headed to the location at Knapp Hall after work. I didn't have much direction, other than they would be parked near the gravel lot. This is a little sketchy, and it's a little awkward. This will put people off. Unless there is a surefire location (like, I will be the car in front of Hodges Hall or I will be the only car right in front of X building), it's a little work for the customer. I ended up messaging her because I just wasn't sure which car she was, and I didn't see any clue. I luckily found her waving to me, handed off my bills and took my three brown paper bags full of bagels. I had a friend who had some difficulty with having a $20 (you should probably be able to have cash on hand to break a $20 if you're dealing in cash only). So, the location and payment wasn't the smoothest. But, bring small bills and be on the lookout. I think I'm starting to sound like a drug dealer. Anyway. 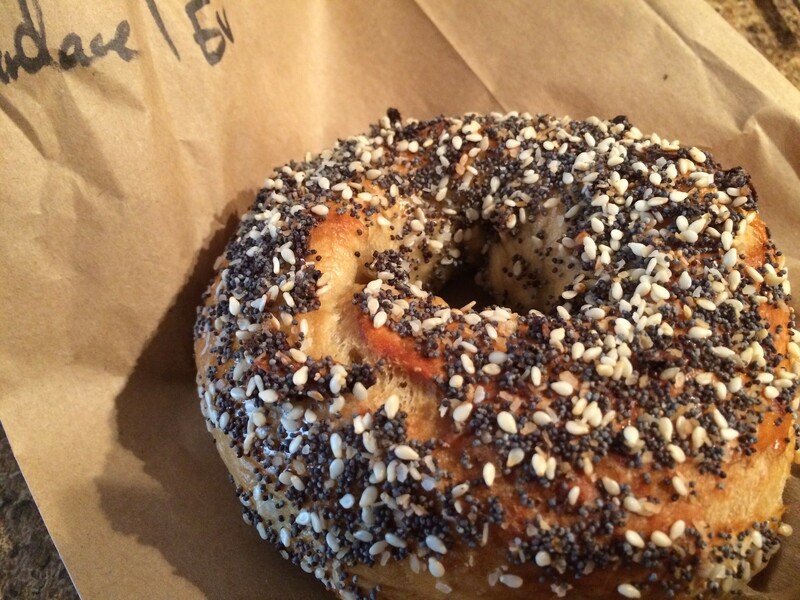 The everything bagel was yummy - just know that all those little seeds and everything are going to fall straight down your shirt. Worth it. The garlic was good and actually had fresh garlic weaved throughout. The onion was also tasty, with bits of onion throughout. They're pretty dense, but they toast nicely. She even threw in an extra mini bagel! How kind. So, I really dug my bagels. I'm not sure if you're supposed to refrigerate these? Anyway, ordering three bagels at once for me was a bit too many. I'll have to do less next time so they can remain fresh without me ODing on carbs. 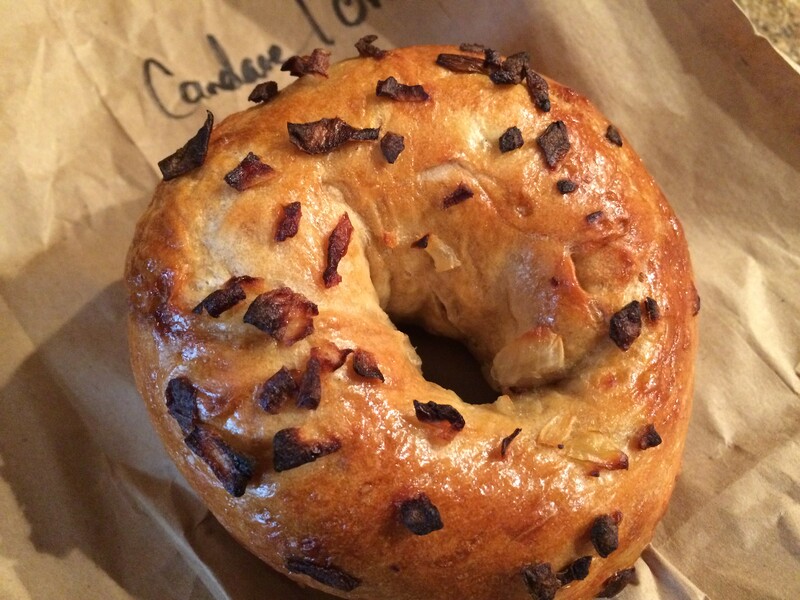 There's a whole bagel culture out there that I simply don't subscribe to - ask a New Yorker for the fine details on what constitutes a good bagel. But this is as good as we have here in town. I think with some ironing out with payments/location would help this go far. Until then, check them out and getchu some bagels.